Web design is a culmination of several different skills: creating engaging content, creating visually appealing images and colors, optimization for search engines, optimization for conversions, branding and more. In this guide, you will learn everything you need to know when creating your website, so you end up with a design that adds value to your specific business and stands out from millions of other templates. We all want to make sure that our new websites will appear on page one of organic search results and get thousands of free potential customers visiting the site every day. However, it’s easier said than done. Your website, after all, is just one of billions out there, so if you don’t know how to do it, getting to the first page would seem near-impossible. The reality, however, is that ranking high on search engines is not rocket science. Maybe the term ‘search engine optimization’ (SEO) makes it seem complicated, but the process can be simplified, for example, through e-Learning courses. SEO is a general term used to describe all tricks and techniques used by website owners or webmasters to get to the first page in organic search engine results page (SERP). This is a systematic process where you will need to understand the basic elements that will boost your website’s ranking. In this article, I will discuss some of the crucial aspects you need to consider if you want to nail your new website’s SEO. Level of competition — such phrases should have low competition. Relevance — it should describe your website. You will find a number of keyword research tools online. A good example is the Google Keyword Planner, Google Search Console, or Google AdWords. With the recent search engine algorithm updates, Google or Bing aims to provide useful content to the internet users. Their bots will crawl through your website to find what users are looking for. Therefore, you need to conduct thorough research on what you wish to write and ultimately optimize it for specific keywords. An important reminder: Don’t write specifically for search engines. You should aim to convert visitors to customers. Therefore, quality content should be your first priority using SEO Techniques. Content titles — should be eye-catching and should contain the focus keyword. Keywords — should be relevant to the content. You should include latent semantic indexing (LSI) keywords, too. That is, phrases or words that give context to the focus keyword. Links — focus on both inbound and outbound links. For outbound links, target reputable websites within your niche. Choose anchor texts that describe your website. Content quality — it must be original, high quality, and informative content that cannot easily be found anywhere on the web. Codes are an integral part of any SEO techniques. When you use SEO plugins such as Yoast for WordPress, you will realize the plugin has sections where you need to insert some codes. They will help in search engine optimization. This plugin will also guide you on the basic elements you need to incorporate. Title tags — optimize the tag of your website by including a keyword that describes the main theme of the website. Meta tags — this is not a ranking factor, but it tells people what the content of the page is all about. You need to include a keyword there, too. Headlines — your page should have headlines and sub-headlines, i.e., h1, h2, or h3, depending on how you want to subdivide the article. If possible, the headlines should have the post’s focus keyword or LSI. Sitemaps — it is basically a roadmap to your website. It tells search engine bots about the structure and content of your website. You can have either XML or HTML Site maps. You should generate the site map using a site map creator tool, then submit it to Google or Bing Webmaster. Domain name – a domain name with a keyword you want to rank will appear high on search engine results. URL structure – it should be simple, memorable, and contains the focus keyword. It should not contain extraneous characters. ALT tags – all images must have ALT tags. This makes it easier for the search engine to index images. Generally, when you consider all these, you could nail your new website’s SEO without spending a lot of money. Again, don’t forget to list your website on various online directories or bookmarking websites. Social media and online marketing play a pivotal role in SEO too. This may seem like a tedious process, especially if you’re doing it for the first time. With practice, however, you will definitely find this as part of your publishing routine, making your new website rank high on search results faster than others. You’ve overcome the first hurdle of getting people to visit your site, but once they’re there, how do you ensure they stay, engage, and convert? A conversion is the end goal for a new visitor on your website. This could be anything from signing up to your newsletter, making a purchase, registering for an event, watching a specific video etc. Achieving this is sometimes easier said than done, particularly considering that a recent study showed that only about 22% of businesses are satisfied with their conversion rates. Coupled with the fact that attention spans have lessened with increasing use of new technology, it’s even more important to make sure your website catches users’ attention, is easy to navigate, and uses simple call-to-actions. It may seem obvious, however, if you’re selling something, you want to make sure that your products are easy to find, visually well-represented, and appealing to your customers. It’s not simply the case of listing your products, you’ll need to think about how to best list them. For example, you may want to list your most popular or best selling items first. Ensuring that your product copy is attractive is equally important as high-quality images. You’ll also want to test different call-to-action button text and colors. There has been much debate on which colors work best, but the key is to test and find what works best for you. One integration that makes this simple and effective is e-Commerce. This allows you to add images, pricing, product information, and other details such as sizing options all in one neat product listing. You can also connect to PayPal and allow customers to pay via credit card or even accept offline payments. Any time an order is placed, you’ll be notified by email and you’ll have access to a sales dashboard that gives you a complete overview of orders made, so you’re always on top of things. 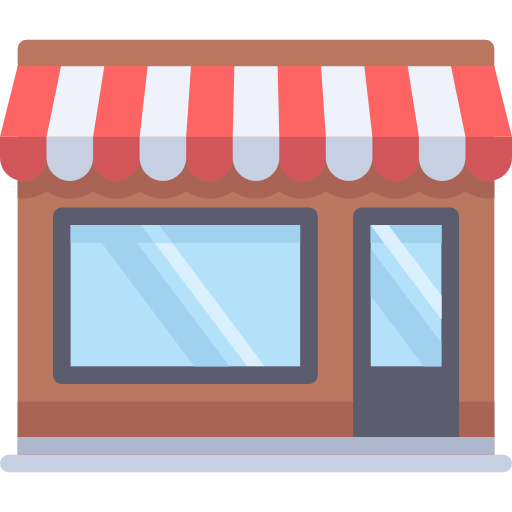 Building a sense of community around your business is very important in terms of bringing more people to your site. In fact, 82% of small business owners use social media sites to help grow their business. This helps in numerous areas: customer service, marketing, brand recognition, and it can also boost your SEO rankings. The key is to make your social media accounts accessible and prominent where appropriate on your site, so that users can connect with you on all platforms. Social Feed allows you to connect to your social accounts and display them on your site in an eye-catching gallery. You can even enable sharing directly from your website, so if your site visitors like something they see, they can share it without needing to go to another platform. Another option is to add social media icons to the footer of your page to allow quick access to your social accounts. Given that 81% of the US population has a social media profile, it’s an opportunity not to be missed. Many conversions are lost due to a lack of any sense of urgency when making a purchase or taking up an offer online. Creating a sense of urgency on your website is one of the most effective ways to increase conversions. A strong call-to-action is key and button text color can make a difference, but urgency causes us to act quickly and suspend deliberate thought. This is achieved by crafting targeted messages and limited time offers that drive more clicks to your ‘Buy Now’ or call-to-action button. Displaying your offer is easy with POWr Countdown Timer. This powerful plugin can be customized to fit in with the design of your site, and you can decide what happens when your countdown ends such as displaying a message or link to another page on your website. For even greater power, consider combining it with a popup that displays a special promotion for users if they show exit intent in order to keep them on your site. Numerous studies have shown that articles with images get more views, so it’s no secret that visual engagement is an important factor in keeping visitors on your site and to increase conversions. Successful ways of doing this include using moving slideshows or Pinterest-style galleries where you can mix the content and customize the layout, sizing, and other properties. When you consider visual and video content makes up most of internet traffic, using mixed media (videos and images) where possible is extremely beneficial to keeping your site visitors engaged. In today’s internet age, web and mobile have become the first point of contact between customers and businesses. With the current immediacy of data, the expectation is that we’re able to find out what we need online within seconds. If we can’t, there’s a block and it leads to site abandonment. Making sure you’re reachable for your customers is paramount and this can be achieved in several ways. For example, a contact form on your site gives users a simple way to contact you without having to switch to email or elsewhere. If you want visitors to reach you in real time, you could connect with them directly from your site using Facebook Chat. In fact, it is one of the most effective ways of boosting customer satisfaction compared to other communication channels as it allows for more personal interactions. Another great way of allowing customers to engage with your business (and each other) is by allowing comments on your site. This continues to build a sense of community engagement, by providing a forum directly on your site. This will help you to improve overall satisfaction and drive conversions with positive feedback. With these simple tips in mind, you can begin taking your first steps in optimizing your site to keep your visitors engaged, happy and converting. You don’t necessarily need to do it all, but the key is to try, test and see what works best for you and your business. The key macro trend in website design is simplicity. With the overwhelming nature of our digital world, effective design now relies on simplicity, negative space, and a conscious effort by the designer to parse content down to the smallest, bite-sized nuggets of information. The design goal is “calm and alluring.” Viewers will be pulled in, and grateful. More specifically, we will see increasingly subtle and functional approaches to animation in front-end design. Websites with too many bells and whistles can start out entertaining — but soon become irritating and arduous to navigate. Smart online business owners know that good web design can make all the difference when it comes to conversion rates. It is one thing to have many people visiting your site and a totally different one to have them buying your products and services. Since not every visitor will buy from you, your effort should be focused on ensuring that a majority of them do buy. Experienced marketers also understand that even when you have the best products and prices across the web, you will have almost no buyer if your website does not help in converting. Different types of design are suitable for different types of business. You need to know the designs that appeal to your target market. You should know what your competitors are using and how they are benefiting from it. You can always change the design of your website if you think that it is not converting enough. Although you have the freedom to choose whatever you want for your site, you should always have the interests of your customers in mind. Use the following tips to get more conversions from your website using the right design. Studies have always shown that the time taken by an individual to make a choice depends on the options given to them. This also determines whether or not they will choose any of the items on offer. Similarly, in web design, if a visitor has too many options to choose from your menu, you can be sure that their chances of buying will be minimal. Make sure that you do not include too many links to choose from in the navigation bar. If you do, your visitor may lose interest in all of them. The rule of thirds in photography is used to capture images in the best ways. It requires someone to divide the entire space into nine equal parts with four intersections. In web design, these intersections have been found to be the areas where people focus most. You should then ensure that you place the most important information on these areas. Whether they are links to products or descriptions and images that will persuade customers to buy, these are the areas that you can use. You can then place the rest of the information in the other areas. Negative space is the unused space between all the elements on your website. It could be the empty space between the header and your texts or pictures and the navigation bars. Although this space is empty, it is quite useful when it comes to good web design. It is one of the elements that give the website that visual appeal that everyone wants. For example, it makes the content more readable aside from making the website navigable and easy to scan through. Using negative space can also increase the number of time that people spend on your site and therefore, it is likely to get you more customers. You also should focus on layouts and graphics. The number of pages of your site and the actual size of a page determines how much it will appeal to potential customers. The time that your pages take to load have a direct effect on your conversion rate. In fact, a fraction of a second longer can lower conversion rates. Most internet users are impatient, they will be likely to head over to an alternative website once they find out that yours is taking too long. You should then ensure that speeds are acceptable. You can easily do this by checking your speeds online. There are websites that can help you to check speeds for free so that you can improve if your site loads too slowly. At the end of the day, what you want is a higher conversion rate because it is the only way you can grow your online business and increase your earning potential. No matter how good your product is, if you don’t have a good web design, you won’t earn much. Take these tips in consideration when designing your site and you will see your sales grow steadily. Video is the future. That’s a fact. It might even be the present now. Marketing experts say that it is no longer in doubt that video holds a significant influence on the future of internet marketing. According to Search Engine Land, YouTube gets billions of video views every day. It is, in fact, the second largest search engine in the world after Google. It makes sense. After all, video marketing show customers not just static images of your products, rather a live version of it. Because of this high demand for videos, every marketer and website creator should find the perfect way to include videos in their content. Videos are among the most engaging content sources today. It is easy to consume videos, since all one needs is to listen and watch. Videos boost the way you connect to your audience, who are also your customers. If you have the right tools, videos can be easy to create and distribute. The reason some marketers do not always get the full benefits of video content marketing strategies is that they do not know how to apply what they know. The actions you take will always determine what you achieve. Interestingly, some of the most effective ways to include video in marketing are the ones that are overlooked most. Here are five sure-fire actions that you can take today to realize fast results. You can use videos to boost your products or services by teaching people about their features. Use them as an avenue to showcase your products by focusing on their best features. To persuade viewers to purchase the items, you must show them how it solves their problems. It could be an animated video, or a short preview as long as it perfectly serves the purpose. After creating such videos, you should find the perfect place to upload them. 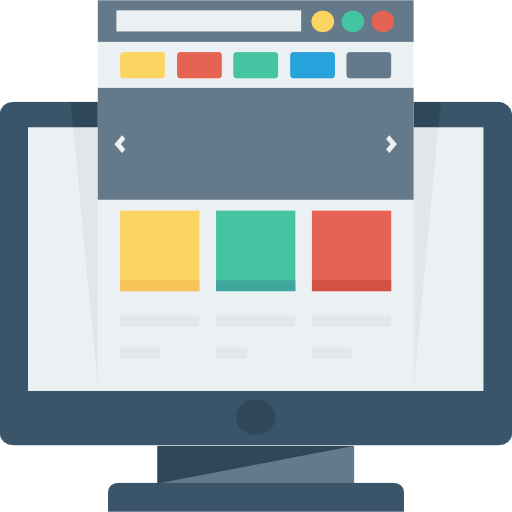 You can choose to have them on your website’s first page so that anyone looking at them will know what your site offers. You also can send them through emails and other communication channels. You can even make a short clip of it and promote it on Facebook, Twitter, or Instagram, linking it to the full video either in your website or in YouTube. Indeed, there are so many ways you can promote and cross-promote it! 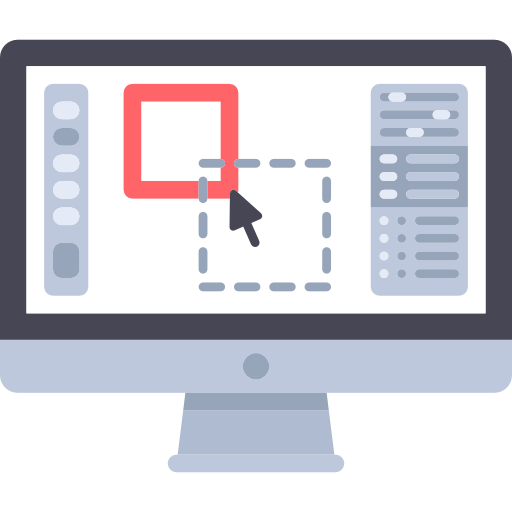 Before you get started, take a look at these 5 powerful tips for making your explainer video. Webinars can be used to engage an audience and build strong followings for your brand. It is one of the content marketing strategies that can be used to reach the whole world in an instant. The best part is that they are not expensive. In order to use videos perfectly for webinars, you should start by identifying what your audience wants. Different kinds of brands require different types of webinars. You may also want to try new tricks just to ensure that your audience does not get fed up of the same old techniques. For best results, use A/B testing campaigns, so you know what works best with your audience. Remember, different strokes for different folks! If you want to increase the open rate of your emails, you should consider using videos. When customers want to know more about your products and services, they will be more persuaded to watch videos than to click on links that lead them to other endless reading materials. The best part is that sometimes, all that you need is to insert a link. Make sure, however, to include short descriptions of the videos. You need to convince your readers to open your email and click on the video link. Don’t forget as well to choose the video photo carefully. You would want it to look appealing to your audience so that they will be tempted to click. It is already common knowledge that almost every customer who wants to buy anything online will read a few reviews before making a choice. Therefore, they will also be willing to watch testimonial videos, especially because you know that videos add more life to the reviews. To begin with, start asking satisfied customers to either submit a video saying how happy they are about the products or ask them if they would be willing to be interviewed via Skype video about their experiences with your products. You can also interview a customer live and just edit out your questions. Once you have compiled these videos and edited them, include them in your articles or other marketing content (make sure you have your customers’ permission to do so!). This way, potential customers will see them and check them out. Social media allows you to instantly connect to billions of audience members the world over. With mobile applications usage becoming the foremost method to interact with online content, social media applications that let you share videos are marketers most valuable tools. This makes applications like Instagram the holy grail of online marketing. Lucky for you, we have you covered with the ultimate guide to growing your online business using Instagram. In it, you’ll find which types of engaging content have the highest popularity, as well as professional brand case studies to illustrate success in their respective niches. Pair your knowledge of Instagram stories with your knowledge of millennial trends to entice younger generations to become brand loyalists. One clever Instagram story video could take your brand’s reputation a long way. Even though it only takes a few seconds to produce, it will create lasting effects. Keep in mind, however, since stories expire after 24 hours, make sure to save them, so you can compile and incorporate them into re-marketing campaigns down the road. Since video and content marketing are becoming more inseparable, start thinking of how to come up with appealing videos to complement your content strategies. As a web designer, nobody will share your videos if they are not appealing. You don’t have to break the bank to boost your marketing campaigns. Incorporate Instagram advertising through stories to supplement your larger marketing video production. You will see that the investment you put into Instagram videos will pay in the long run. In November 2016, mobile web usage exceeded desktop internet requests for the first time. Since then, users have not looked back and the trend towards mobile is continuing. This movement has not escaped the website builders ecosystem, and the concept of mobile-first design has rapidly increased in popularity. What is Mobile-First Website Design? In order to uncover why more and more people are turning to this mobile-first approach, it is important to understand what it is. Simply put, mobile first refers to building a website with smartphone and tablet users in mind as the primary users. Only once they are considered, will a designer turn to desktop users. Similar to standard website creation, mobile first can be broken down into two different categories: design and implementation. Historically speaking, web designers have used a top-down approach, creating websites built to work on larger screens and then focusing on smaller devices. Although there was no reason to not use this method at the time, we have now reached a point where more than one tenth of Americans are mobile-only users, with even greater numbers in other parts of the world. When it comes to mobile devices, websites need to function very differently. Elements that look and function well on a desktop site are often unsuitable for mobile users. The luxury of high internet speeds on WiFi and connected networks are often not available to mobile users, especially those living in rural areas. Mobile first design focuses on smartphone users, taking into consideration not only the smaller screen size but also the capability of the average mobile device and the necessity for greater compression and smaller file sizes. A mobile version of a website will often have less copy, few images, and streamlined navigation. There are two ways to create a website from a technical standpoint that will result in a mobile-optimized experience: server-side agent detection and client-side responsive design. A site designed with server-side detection implementation serves a different version of a website to visitors based on their device. If you use an iPhone, for example, the site you attempt to access will display a mobile version (generally signified with the prefix ‘m’) built specifically for users on the go. It may look similar to a desktop site or it may use a completely different HTML and CSS file. This kind of specialized technical design differs from the now-common responsive web design. A mobile responsive site is one that uses all or most of the elements on a desktop site and simply scales them down, without necessarily reducing the size of the files it contains or the number of elements that the page will load. You can see this concept in action on this page by resizing the page larger and smaller. Although responsive design is easy to implement and maintains the aesthetic and flow of a desktop site, it often consumes more data than necessary, loads more slowly, and can result in negative SEO consequences. In April 2015, Google announced that their mobile search algorithm would prioritize mobile-optimized websites. This meant that, for the first time, having a mobile-friendly website really mattered (so much so that Google, a company that is notoriously secretive about their methods, revealed it publicly) and served as one of the factors for ranking on the mobile search engine results page. Simply put, a mobile-first website design can result in a greater number of users, a lower bounce rate, and, ultimately, greater profits — especially as the number of users who are mobile-only continues to rise and the demand for mobile media and shopping experiences increases. Not only is mobile-first design important, it is affecting website builders more and more, too. Many modern website builders provides users a choice of how their website displays on mobile devices. This gives users full control over how a site displays when accessed from a smartphone and can even take advantage of the features of the device that are not available on desktop PCs. These features include geolocation, camera usages, and even creating a direct link to your address and phone number, so that users can easily find you on a map and call you if they want to know more about you. Mobile first also takes other important factors into consideration, including how people interact with their devices. Instead of clumping many links and buttons into a small area, mobile-first websites are designed for large human thumbs. They also focus on other user experience elements, like easy-to-read text and swipe-able elements. If you do opt for a mobile-first website, think outside the box, always consider your user experience, and prepare to achieve great things! Websites are the face that represents your brand on the internet. To achieve your goals, to get higher conversions and make more income, it’s important to follow the practices we’ve outlined so far in this article. Your website should be search engine friendly, have code compliance, easy to use, optimized for mobile users, look great etc. One of the mistakes that small businesses tend to do is to design their websites cheaply to save money. What they don’t know is that this penny pinching will affect the performance of their websites and their business as a whole. A poor web design will portray a negative picture of your business, leading to lost income opportunities. Don’t wait for this to happen to you! Implementing simple navigation tactics in your website design ensures that your customers can easily do want they want to do. This is one of the basic principles of effective web design. Don’t be too creative and unconventional as you will make things confusing for them. Employing simple and intuitive navigation aspects to your website will make it easy for people to notice it and to navigate around it. One of the common mistakes that most website designers do is making the navigation menu hard to find. Can you imagine being on a website where you can’t even find the menu bar? What do you do? Do you try to look for it? Or click “x” and move on to the next website? Probably the second option, right? All your website buttons should also be functioning, and there should be sense as well in how the links are organized. Take some time to plan your website structure even before you begin building it to avoid all these mistakes. According to Google, it has been estimated that about 82 percent of smartphone users turn to their portable mobile gadgets before making a purchasing decision. It is even confirmed that mobile searches exceeded desktop search in 2015. As a website owner, don’t wait to get penalized by Google for not having a mobile version of your website. If your site is not mobile-friendly yet, start implementing changes now. Enable mobile internet users and consumers to visit your website easily from their devices. By making it mobile friendly, you are likely to see an average of 12 percent increase in visibility in Google mobile. The common name for mobile friendly is responsive website, you can read more about responsive websites here. The Metadata that is found in your website’s codes is very important when it comes to SEO. It includes Meta descriptions, alt texts, and title tags. Search engines look at those to determine where they will direct people searching for related items. Giving your website a unique and descriptive Meta description should be a priority, as it is what a user or consumer sees first when they visit your website. You should ensure then that your website designer gives your website pages unique titles that coincide with the keywords goals. All your titles, Meta descriptions, Alt tags, and main page headers should clearly indicate what they are representing on your website. This will make it easier for both your audience and the search engines to easily know and find what they are looking for. The main aim of your website is to make visitors find and understand what they are looking for. When your website is crowded, people will click “x” as soon as they land on it, since it will be hard for them to understand and find what they are looking for. You need to make sure your landing page or home page is clear and easily understandable. Avoid busy designs and confusing layouts to make it easy for both your customers and the search engines. You should also choose legible font styles and the best font sizes for easy readability. Although it is always good to be creative especially when it comes to website design (those curling fonts do reflect your personality, right? ), remember to define and determine the purpose of your website first, which is to help people solve their problems. Images are an important part of web design and can be a great tool when used properly. However, when you use irrelevant images or low-quality ones, you may confuse your readers. You should also note that images are among the website elements that are always ignored by search engines. This is because search engines understand text more than images. You should, therefore, use images that are of high quality and, thereafter, optimize them to fit the design of your website. In web design, having too many ads are discouraged because it is likely to frustrate your website visitors. Most ads are not indexed by search engines and are not part of a website designer’s work plate. Despite that, pop-ups can also be a great tool for increasing your email sign ups. You should analyze your ads well and do away with the ones that you are sure will annoy your visitors while keeping the ones that work. It is better to always have your target audience in mind when designing your website so that you have pop-ups that are relevant and not obstructive to your audience. Use pop-ups that relate to the content of your website and that will make your readers interested and also easy to close. There are many plugins that you can use to implement reliable pop-ups and see a greater increase in your sign-ups. With the above ideas, there shouldn’t be a reason for you not to take a step in improving your website design and even customizing it further for greater performance. What is more important is to always keep your target audience in mind before you even begin the whole website design process to ensure that they will benefit from it. We Asked the Experts: What are the Top Design Trends coming up in 2019? Where do you think website design is going? What are key trends to keep an eye on? What are some do’s and don’ts? What’s hot in the industry right now? We hope you take some inspiration and ideas from these modern experts in website design. With intrinsic design, you don’t have to choose between fixed or fluid; you can use both at the time same time. You can make a layout fluid until it hits a minimum size, at which point it stays fixed. Responsive web design has flexible images, while intrinsic web design has flexible or fixed images. Responsive web design has fluid columns, while intrinsic web design has fluid columns and rows. Responsive web design uses media queries, while intrinsic web design doesn’t necessarily need them. Let’s specifically look at images. Before responsive web design, images overflow their container if they are bigger than the container. Fluid images (as used in responsive web design) shrink and grow depending on the size of their container. You can also make images fluid in a vertical direction. If we make the image fluid vertically and horizontally, the image looks distorted. But, now, if we use object-fit: cover, we can specify how we want the image to react. We can truly do two-dimensional layouts: rows and columns. Every one of those four stages of squishiness works for rows as well as columns. This means we can create intentional white space. People say it was always possible, but it’s different now: it’s more intentional. You can set heights and widths. Floats never created a new formatting context, which is why I used Clearfix. Now we don’t need hacks. You can mix and match, choosing the best layout tool for the job at hand. You can have a grid layout that has Flexbox items within it. The Firefox developer tools allow you to inspect each layout type separately. You can use the nightly build to get the latest tools. Then we’ve got ways to contract and expand content. We have more options now. For a while, we’ve had the option to squish and grow (e.g. with fluid images). Another is wrapping and re-flowing (like we can do with text). Another option now is to add and remove white space. Maybe the content size doesn’t need to change; the white space shrinks and grows instead. An even more radical option now is to have things slide behind one another and overlap deliberately. The word ‘intrinsic’ is defined as ‘belonging to the essential nature or constitution of a thing.’ The web is a visual medium and the browser is its canvas. We’ve reached the point where browser capabilities can do a lot of creative things, without having to overcome the limitations of browsers with workarounds. Flexbox, CSS Grid, and Box alignment gives us fine-grained control to place items where we want; it also allows the browser to control to where to put those items in the layout for us. When using Grid, we are now able to vary the rate of expansion and contraction of items with the various sizing values. Options in these new tools give web designers and developers more options and flexibility for their artistic direction when creating layouts. After some time with these tools, new designers will be able to create new possibilities for the structure of building designs that will inspire the next iteration of web interaction. Going into 2019, we need to take a hard look at ourselves and begin to recognize we are accountable for the unintended consequences of rapid innovation. Do we always need to be creating new applications? Is engagement always the optimal goal for designers? Do we need to live in the corners of Dark UX? We do not. Instead, we should design experiences that support cognitive sustainability for individuals, groups, and society. 2019 is the year for designers to become ethically responsible. I believe the biggest design trend will have us think in a more mindful and focused way. We will see a move away from popular front-end framework aesthetic towards more free-form design. Frameworks are great tools in that they are fast and accessible; However, their speed comes from making things visually similar. With the visual literacy of the average user increasing, those who standout may have to do something unconventional and, possibly, wrong to stand out from the rest. If you adhere perfectly to design rules, you still won’t be able to keep people engaged with your content. You need to do something with your design that is more visceral and memorable. Because there is so much free learning and online educational resources, there will be more diverse and interesting ideas that enter into the field of web development. People who aren’t classically trained will begin to bring in their unconventional views and create in interesting ways that defy normal expectation, which will then, possibly, become trends. If traditional designers and developers have an open mind, we can learn a lot from new self-taught ones. This may mean we move away from websites that are hyper-functional containers of information, but at least we’ll see more alluring abstract designs. Oliver is exploring the possibilities of increasing design capabilities within browsers through augmenting HTML code with web components that have built in functionality and style. Large companies the likes of Google, which own hefty portfolios of websites sharing a common brand, codify their user-interaction into composable widgets, so they can speed up development time and reach both consistency of visual and UI design between all their assets. Understand there are many designers spread throughout different teams, which makes it hard to have consistent brand image; because the goal in large companies is to remain consistent in their branding, we have seen a rise in style guides and pattern libraries over the last several years. This approach will become more popular in 2019 because installing a web component is as simple as typing “npm install component-name” into a terminal. It’s been coming some time now, but with a better understanding of how to be inclusive through new tools and personalization of content, diverse audiences can be delivered inclusive content more effectively. Through using XML editing interfaces to do sophisticated omni-channel content, component management systems, used by technical communicators, have been in use for some time already. Although, it has been inside a closed ecosystem of properly structured, semantic content. In the larger world of marketing content, the attitude towards enforcing structure on content and workflow to learn sophisticated editing interfaces has not been a priority. As more artificial intelligence and machine learning is incorporated into bots and voice interfaces to deliver content, design specifications will have to change in order to support the types of content that can be distributed. It’s dependent on how the algorithms deliver text and visual content and how the range of sources and formats are based – in varying lengths and quality. There will be an adjustment period to accommodate audiences and that can result in some anxiety until we figure out how to work with all the variations. We won’t see much progress in 2019, but it will be the year that lays the groundwork for more advanced ways to implement measures for inclusivity. Keep only the essential elements on-board to communicate effectively to your users (no extra ornaments). Use colours carefully to illustrate different elements of your site: blue for links, red boxes for alerts, green boxes for confirmations, blue boxes for information, yellow boxes for warnings, and set the background colours to a hierarchical set of grey. Don’t spend too long on specific elements of your wireframe, as it is a tool to convey ideas in a simplified way. Don’t expand the canvas size to add more elements because when you’re ready to make your web application, you’re designers will have to fit more elements into the smaller original canvas. When it comes to minimalism, the use of white space is evolving. Clearly, mobile is having its impact here because web load time speed is becoming an emerging concern. The slower your website or application loads on mobile, the more likely you’ll lose a user. The way to counter-act this is through having less things to load. Web designers use less details to drive the user’s eyes to specific areas. Little navigation dots, arrows, underscores or geometrical figures are getting popular in minimalist design, as they help add a subtle note as separators, balancers, or pointers to content and calls to action. Although, little details can help draw attention in a nice, subtle touch to the layout, they can also interfere with actual navigation elements. If they have no harmony with actual content, they can then be perceived as noise. As there is an increased demand for cross-platform applications, Kotlin will increase in popularity among web developers by extending its Android applications to the web. The popular languages from JetBrains has quickly become the de facto language for Android programmers and will begin to replace its competition, Typescript. PWAs and SPAs will provide more engaging and fluid experiences. I can see them being highly adopted in 2019. As mobile phones are now the primary devices used for browsing the web, we can expect to see no shortage of mobile-first design. In particular, the use of “cards” will see a rise. Think Pinterest and other websites which utilize these smaller organizational blocks of content. Cards adapt to responsive design easily and their simplicity appeals to many users. Even though voice search technology is still in its infancy, many companies are preparing for its eventual adoption. The majority of the groundwork will require making content easier to parse for digital assistants. As Google moves to the Answer Engine model, there will be increasingly less focus on driving traffic to your website from the search engine results page (SERP) and making it easier to mine your site for content. This means your efforts should be focused toward structuring your data. This can be done through schema markup. Although schema markup is popular in eCommerce, most industries are recognizing its importance for voice search going froward. Personally, I predict we’ll see a real rise in the use of cinemagraphs, especially in e-commerce. Currently, we see cinemagraphs used on modern websites to give a dynamic edge to static images and capture engagement. In 2019, I can see these being utilized more effectively to showcase products. Not only are they smaller in size than videos, which is beneficial for page load time, but there is also evidence that they help increase conversions when used on product pages. Thanks to technological advancements in smartphone cameras and apps, it’s now much easier to create great quality cinemagraphs yourself, without the need for professional equipment. The year 2019 is going to be all about efficiency, speed, and performance. With the continuing trend towards users viewing the web on mobile devices and Google’s growing insistence on fast websites for its search rankings, we’re going to see a focus on quick-loading websites. A lot of this will be done on the back end of websites — optimizations of code and of images in particular. But it will also manifest in the design of sites. Less flash and more functionality is going to be the way forward, with UIs that make it near impossible for users (who are now less internet proficient than ever) to get confused. Simple, sleek, and swift is the design of 2019. Due to data privacy regulations like the General Data Protection Regulation (GDPR) in the European Union and California’s Consumer Privacy Act in the United States (AB 375), web developers found themselves scrambling to update client websites in order to comply with the new privacy act mandates. This was by far the biggest surprise facing web developers this past year. Because too many web developers underestimated the amount of time, work, and financial investment that had to be incorporated into their systems to meet the new regulations, they had to tackle the sizable task of ensuring both their servers and websites collected and stored data securely. Although, many developers had a hard year to meet the new regulations, data privacy and security has been placed at the forefront of their priorities and will be included proactively in their processes. Going into next year, web developers are going to face increased security requirements. 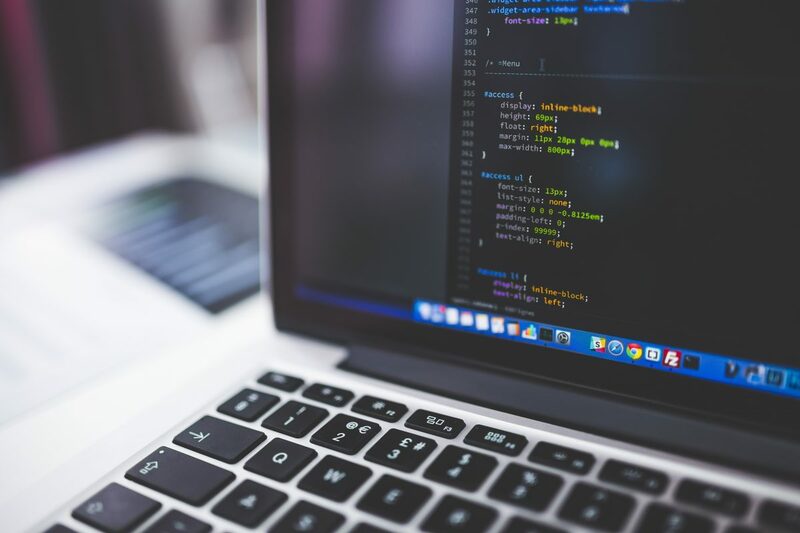 With consideration of more cybersecurity and website security legislation on the horizon, more applications are going to adopt new programming languages. One example is the plan to move from PHP 5.6.x to the more secure PHP 7.0.x. This means open source programs like WordPress need their web developers and server administrators to upgrade their platforms in order to keep up with the competition. Although, it is an investment in the present, it will translate into faster and more secure sites down the road. In the last year, a burst of data breaches and trust violations transpired. This affected customer’s positive perceptions of the web after companies they trusted exposed their private information. With the inclusion of the General Data Protection Regulation, security has become one of the biggest concerns for web developers. Moving into 2019, web designers must take a hard look at their authentication patterns. After Facebook’s security breach scandal in 2018, companies, who previously used Facebook integration for customer login, must now wrestle with the idea of their first impression being a negative one by association. Websites, now, have to live up to higher standards of security because of past failures. Companies need to ask themselves, ‘what needs are we solving for our customers when they sign up for an account?’ If there’s no purpose to collect extra information, it then becomes a liability for the company if they experience a future data breach. Every ‘extra’ field of information a company collects, the more risk it creates for the company and the customer. After augmented and virtual reality survived their low early adoption phases, AR and VR in web design are surging again. Browsers like Google Chrome added WebXR Device API into its Canary update. This makes it possible to put in AR and VR into traditional navigation areas on websites. Apple has also revealed the ARKit 2, which allows developers to create applications that support augmented reality. After Google re-designed their logo to be sans-serif, other brands began following suit. Many believe sans-serif logos to be the sign of modernity and progress, while serif logos connote nostalgia. This movement was also influenced by designers that wanted to strip away the decoration from their logos. They wanted to move towards cleaner designs that still represented their character, which lead them to use sans-serif font in their logos. Known as one page design: a single page website comprised of a stratified hierarchy, which separates, traditionally, different pages into scroll-able sections on the one page. This type of design prioritizes speed and minimalism, which is becoming the new trend. For me, the future of design has arrived: motion design. It will be the biggest trend of 2019, but be careful to limit its use. Even though this method of design has existed for decades, in the past 10 years, it has experienced exponential growth thanks to the digital revolution. Motion design is, in other words, the art of giving life to your graphics through movement. The idea is that you can create a design that responds immediately to the user’s actions. The motion should seem natural, in the same way that things move around you in real life. Here is an example of a simple web/app password. An example of this is Alfred Service. Upon entering their website you can play with it and experiment with its functionality as you scroll down. Although it is very attractive, the design is extremely overloaded. And in the end, this creates problems for it to be understood quickly and efficiently by the end client. In fact, I believe that motion design is, by itself, adding a new level of depth to interactive design, which was always about the art of connecting the dots and telling stories that allow the users to use our products and achieve their goals. Click to see an example of a progress/loading bar. The difference is that before there was no motion and for the user the dots were difficult to connect visually. What motion is providing is the possibility of communicating even better, in a more fluid way for the user to understand your work. Here an example of a simple submit button and complete task. Additionally, you can use motion design in videos that explain to your users the products or services that you offer. An excellent example of this is by Lettuce App. I recommend that you keep your animations to a minimum. Use them only when they have significant value because they can be a cause of distraction for your users, ending up in lower conversions, when in reality, you are seeking just the opposite. I believe we’ll continue to see more and more layouts break away from the typical large hero on top, followed by chunky horizontal sections. As Flexbox has finally become widely supported by browsers, users demand more editorial styles. We’ll soon see the biggest swap to more staggered and a-symmetrical layouts happening in 2019. This means more scroll-worthy design templates and a further removal from the “above the fold” terminology that’s fading out of our design dialect. Also, with the popularity of personalization over the past two years, 2019 will be the year of finding new ways to engage users in a way that will provide info back to businesses, so they can continue to personalize their online experience. I believe many who take up this trend will look to AI to assist them in this process, so data collection and response won’t be very manual. Thanks to new advances in technology, people are beginning to change their ways of thinking about web design and are beginning to push its limits. We are seeing transformations in website structures with popular brands like Nike and Vice adopting card layouts, which was once mainly popular in blogs. More websites are breaking away from the grid, thanks to new front-end builders such as Divi Builder and Elementor allowing you to shun the limitations of the old symmetric and static layouts. More agencies are now doing product design sprints (PDS), which help clients find a solution to their problem a lot quicker and pain-free. Digital specialists discuss potential ideas to find the right solution, create a prototype, and test it with real users within a week. As not every company wants to spend significant amounts of money and time on full product development, PDS is a great way of finding out whether the product will work. There you go — 22 designers, owners, analysts, and other experts have weighed in on what they think the top web design trends will be in 2019. From mobile-first to one-page websites, cinemagraphs, the use of a-symmetry, minimalism, and augmented/virtual reality, the consensus seems to be the top web design trends will focus on the user and their experience. Really a nice content even for a company! Keep sharing such contents! Yeah ,That’s a really very Informative and thorough Information………. This article gives impressive knowledge. Awesome tips and step by step explanation on Web Design with Latest Trends. Really appreciate the way you have written and explained Especially the Mobile-First Website Design Section. Great article! Thumbs up! You summarized web development world in very easy to understand language including both back end and front end. i would recommend you to keep sharing these type of shareable knowledge. Admiring the commitment you put into your blog and the detailed information you offer for those who are getting started in Wed Design. Wonderful read! Great content, I enjoyed reading it and thanks for posting. Awesome tips and steps that you have shared. Thank you for this such information. Great tips! The key fundamentals that you have mentioned and the step by step explanation on Web Design with Latest Trends are really appreciated and the way you have written and explained especially the Mobile-Friendly Website Design Section. And I believe two of the most important ones are the layout and call to action. Funny thing is it seems many people choose a layout thinking everyone will love it meanwhile it actually is not as liked as they think it is. And as for the call to action…pretty simple. If you do not tell them to do it, they are much less likely to do it well agreed. Thanks for the awesome article! Keep up your awesome work!